We provide a free no obligation written quotation for replacing your fuse box with a modern consumer unit. There are many good reasons why you may be considering replacing your fuse box and we have listed some below. We are NICEIC registered and Part P registered with over 20 years experience replacing fuse boards. There is also a detailed list of frequently asked questions you may find helpful when considering having the work done. To book a visit and receive a free written, no obligation quote please do not hesitate to call now on 01482 440210 or email us at info@abbeyelectricalservices.co.uk. 1) Improved levels of safety with modern RCD protection. wooden backed like old consumer units. 5) Alterations to kitchen and bathrooms can warrant an upgrade. 6) Safety standards have increased massively since the 1960s. What size of consumer unit should I get fitted? The decision on what size consumer unit should be based first on the number of circuits you have presently plus any future requirements. So for example if you currently have 6 circuits and you would generally install as a minimum an 8 way unit leaving 2 spare for future use. Future needs may include extensions, showers, smoke detectors, garage supplies, cooker supplies, security alarm supplies etc. The power is cut off for an average of 4 hours, but following switching the power back on the process of live testing is carried out which involves switching circuits on and off for up to 2 hours. The size of consumer unit and number of circuits means the time taken varies install to install. Why do I need Main Earth Bonding to water and gas services? Main earth bonding is part of the wiring that forms the path which a fault travels along in order to activate the fuse in the event of a fault occurring. It is an important part of any electrical installation providing protection against electric shock and is required under current regulations. The regulations require a correctly sized earth is connected from the consumer unit to your gas and water pipework where it enters your property. Why do I need an Isolator Switch installing by my energy provider? Before the old fuse board can be removed we must first cut the power to it to make it safe to work on. Some older properties do not have an Isolator Switch. 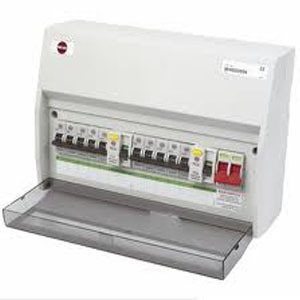 If your mains supply has no Isolator Switch or double pole connection to enable the supply to be switched off you will have to contact your supplier to arrange to have one fitted before your old fuse board can be removed. Some suppliers make a charge for fitting an isolator switch and some are provided free of charge. Why do I need earthing in my circuits? Earthing in all circuits running from your mains board is part of the wiring that forms the path which a fault travels along in order to activate the fuse in the event of a fault occurring. It is a important part of any electrical circuit providing protection against electric shock and is required under current regulations. In rare circumstances some very old properties still have wiring with no earthing present. Any circuits identified with no earthing are generally considered to be unsafe. If you have circuits with no earthing you would be advised to make separate arrangements to have earthing installed. Why do I need a Main Earth Conductor? All properties require a connection with earth of some form or other. The main earth conductor forms the path which a fault travels along in order to activate the fuse in the event of a fault occurring. It is an important part of any electrical system providing protection against electric shock and is required under current regulations. The main earth conductor is a cable running from the consumer unit to your suppliers earth or in some circumstances where the supply company has not provided a connection with earth, an earth rod that is fixed into the ground. Why do we need to test the sockets and lights after the new consumer unit is fitted? After the new consumer unit is fitted we need to test everything is working normally. We use specially calibrated test equipment to take readings on circuits at various points. To do this we need access to a sample of sockets and lights throughout the property. The readings are recorded on your certificate. Why does the work have to be registered with Building Control under Part P.? Its the law. In 2005 government introduced an electrical safety requirement called Part P into the Building Regulations for England and Wales. As a result of this, there is now a legal requirement to notify the local authorities Building Control Department when replacing a new consumer unit. We are registered installers and we register the work for you then a compliance certificate is posted to you from your local Building Control Department following completion of the works. What if there are pre-existing faults in our home? On rare occasions some properties have pre-existing faults that exist within your installation but lay undetected by your existing type of fuse protection. When the new modern RCD fuse protection is installed the fault is then detected causing the circuit to trip. This is because modern RCD circuit breakers are designed to better detect earth leakage faults than other fuses. On the rare occasion a circuit has a pre-existing earth fault we would investigate to identify and isolate the source. If the repair of the fault requires additional work you would be informed of the situation and advised accordingly of any additional cost involved prior to any repairs being made. For example if you had a faulty light fitting or socket cable we would provide you with a separate cost repair. Any queries please do not hesitate to ask. Yes. 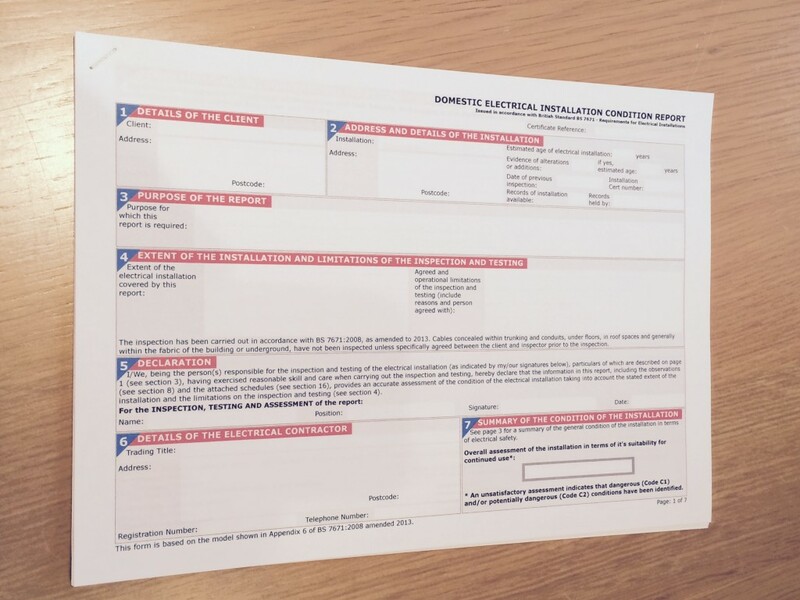 Following installation of a new consumer unit we provide a BS7671 Electrical Installation Certificate proving the work carried out complies with regulations. 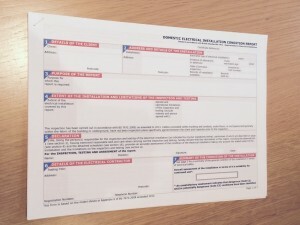 You should retain the certificate for future use as it can be problematic when it comes to selling your home if you cannot produce evidence that electrical work has been carried out in accordance with the regulations. What guarantees do I get with the work? All our work is covered by the industry leading NICEIC 6 Year Platinum Promise, making sure the installation work is safe and meets the required regulations. What quality materials are used? All our materials are high quality and meet with British and European Standards. All materials supplied are covered under our warranty against mechanical failure for 10 Years. What about payment for the work?